Join in on the 2018 Liberty Festival Celebration! The Lewiston/Auburn Liberty Festival. A Celebration of Freedom. Across the country, communities are celebrating their independence. On Tuesday, July 3rd, we will be hosting a Salute to the American Flag and Retirement Ceremony starting at 7 PM. We will have a flag retirement ceremony, taps, a cannon will be fired, and several speakers. Don’t forget to bring a chair and any flags that need to be retired! On Tuesday, July 4th, festivities will begin at 6 PM in Lewiston at Veterans Park and in Auburn at Great Falls Plaza. On the Lewiston Stage will be performances by Lacey Chain, National Award Winning Robert Washington as “Elvis”, and Joe’s Garage Band, and more! In Auburn, we will have Mr. Drew and His Animals Too, Flow on Fire, and DJ Scotty Dawg, and more! Fireworks will be at 9:30 PM. (Rain Date: Thursday, July 5, 2018). 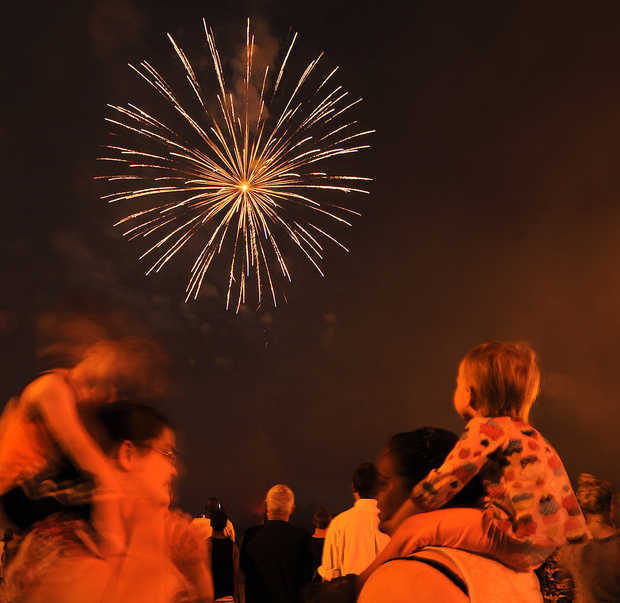 you can find a spot along the river and experience the festival’s fireworks finale. It’s a great way to celebrate our independence!